Once or twice per year, I offer a divorce support group called "The Banana Splits." Scroll to the bottom of this page for some examples of the activities that I do within that group! Divorce resource for parents, professionals and children addressing questions asked about divorce by parents, doctors, nurses, teachers, Psychologists, and social workers. When it comes to a child's sense of family, what divorce breaks apart, solid co-parenting rebuilds. With a tested "here's how" approach, The Co-Parents' Handbook helps parents confidently take on the challenges of raising children in two homes. Addressing parents' questions about the emotional impact of separation, conflict, grief and recovery, the authors skillfully provide a road map for all members of the family to safely navigate through separation/divorce and beyond. 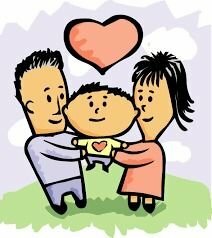 Parents discover through practical guidance how to move from angry/hurt partners to constructive, successful co-parents. The pages are chock-full of helpful strategies to resolve day-to-day issues in an easy-to use format. This book is here to answer questions, help parents co-parent and ensure kids thrive! Inspirational and accessible, Divorce Busting shows readers in pain that working it out is better than getting out. This gently reassuring text focuses on what is gained rather than what is lost when parents divorce, while the sensitive illustrations, depicting two unique homes in all their small details, firmly establish Alex’s place in both of them. TWO HOMES will help children - and parents - embrace even the most difficult of changes with an open and optimistic heart. Intended for girls in grade 3–5. Short chapters illustrated with bright cartoon drawings cover many important concerns and offer explanations of the divorce process. Topics range from how to deal with negative emotions, family changes, and new living arrangements, to tougher issues such as violence and financial troubles. The text has a compassionate tone, and sprinkled throughout are answers to questions that readers might have as well as snippets of advice from girls who have found what works for them. A few write-in quizzes are included. This book promises to be a helpful guide. This companion to Speaking of Divorce is for kids ages 7–12. In a simple question-and-answer format, the book gently explains what divorce is, why parents decide to divorce, new living arrangements, how to handle feelings, and other basics to help children understand what's happening in their lives. With honesty and simplicity, the authors help children realize that divorce isn't their fault, strong emotions are okay, and families can survive difficult changes. Written to and for kids, this book is also recommended for parents, educators, counselors, and youth workers. Pre-School-Grade 2. A calming and reassuring story about divorce. Crying and upset that his father and mother no longer live together, Tom lies in bed holding his teddy bear for comfort. The toy suddenly whispers in his ear that he has a story to tell him, and relates how a small bear who was in a similar situation came to realize that fussing and acting up weren't helping matters. Marks supplies soft, watercolor paintings that fill the pages opposite text. A sensitive story about separation and divorce.